The excellence of an aesthetic clinic very much depends on the calibre of practitioners who practise in it. Although you may already have had a first-rate education, been awarded valuable qualifications and attended in-depth training courses, earnest practitioners will know how vital it is to keep learning. In a specialty such as aesthetics, which is extremely fast-moving and continually evolving, it is especially important to keep yourself up-to-date with the latest innovations, treatments and techniques. 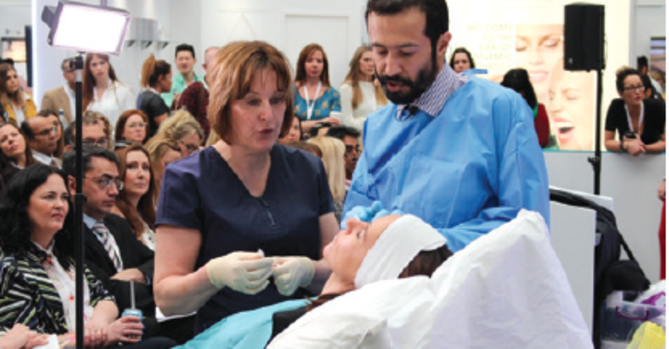 Global manufacturer Teoxane UK will be hosting three sessions in total, providing delegates with expert advice and demonstrations on their range of injectables. Aesthetic facial specialist Dr Lee Walker will offer expert advice for treating the lips in the session Safe and Predictable Lip Augmentation. 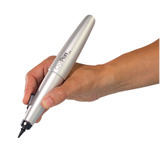 He will present the anatomical considerations to be aware of, while sharing new techniques and tools to augment safely and successfully, before conducting a live demonstration, using the Teosyal Pen and Teosyal RHA 2 or 3. The second session will focus on volume replacement in the ageing face, led by internationally renowned aesthetic expert and KOL Dr Wolfgang Redka-Swoboda. He will share his top tips on how to achieve fantastic results by using sculpting techniques and will also provide delegates with a demonstration, so you can see his techniques first-hand using the Teosyal Pen and Teosyal RHA 4/Ultra-Deep. Rounding off the trio of injectable teaching sessions is internationally renowned expert Dr Kieren Bong, who will present his approach for effective correction of the under eye. Dr Bong will discuss the fundamental aspects to explore when approaching a tear trough treatment, including the ageing process and anatomical considerations, whilst showcasing his unique technique, the ‘Two Point Eye Lift’, using Teosyal Redensity 2. 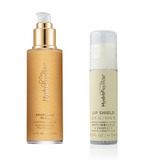 Trichloroacetic acid (TCA) peels are a popular treatment to repair and rejuvenate damaged and aged skin, and, at this session with UK skincare distributor UniqueSkin, you can learn how to utilise brand new peel formations. TCA peels traditionally have a reputation of being uncomfortable for the patient, but consultant dermatologist Dr Jean-Luc Vigneron will demonstrate how to use TCA peels of high strength, that can be pain-free and produce greater results for the patient. Learn how to help your patients achieve a slimmer, more defined face using the injectable biorevitalisation RRS range of products at the AestheticSource session. Led by Dr Jane Ranneva, dermatologist and specialist in rehabilitative and reconstructive medicine, the session will provide an overview on how you can offer patients supreme biorevitalisation treatments that are highly effective and safe to use for the face and body. AestheticSource will also hold a second session at ACE 2018, with details to be announced soon. Injectables may be the mainstay of many aesthetic clinics, but every practice benefits from offering a range of treatment options, such as devices for skin resurfacing. Aesthetic technology company Cutera Medical will hold an Expert Clinic on the PICO Genesis, led by Dr Sach Mohan. 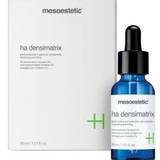 This two-in-one aesthetic laser aims to treat pigmentation, skin tone, sun spots and more. Sagging and loose skin is a real concern for patients, so skincare and device manufacturer AesthetiCare will educate delegates on the ENDYMED radiofrequency system and its fractional treatments. The session will explain the device’s flexibility to treat key skin rejuvenation indications, as well as body contouring and tightening treatments. A brand-new learning concept will launch at ACE 2018, which allows you to access some of the UK’s best training courses, for just a fraction of the price. 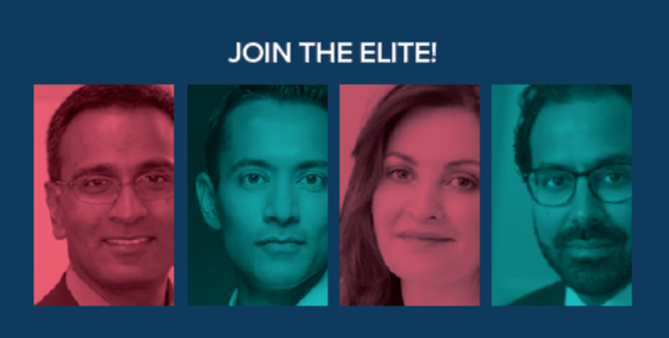 The Elite Training Experience will present four training opportunities: Dalvi Humzah Aesthetic Training with Mr Dalvi Humzah and an expert faculty, Academy 102 with Dr Tapan Patel, Medics Direct Training with Dr Kate Goldie and the RA Academy with Dr Raj Acquilla.